Turmeric is a plant. It is perhaps known as the main flavour in curry. It has a warm, bitter flavour and is often used to colour or give flavour to curry powders, cheeses, mustards and butters. Turmeric is also used in making medicine. It is also used for arthritis, heartburn, jaundice, gallbladder disorders, liver problems, etc. Turmeric Powder is often adulterated with fake colouring and fillers like corn flour, yellow coloured talk or sawdust, melanil yellow andlead chromite which is used in paint. 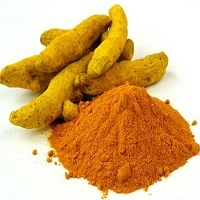 For safety you need to buy turmeric from a trustworthy source.